The bookcase doll house was totally easy to move! The roof unscrewed and this was the result. 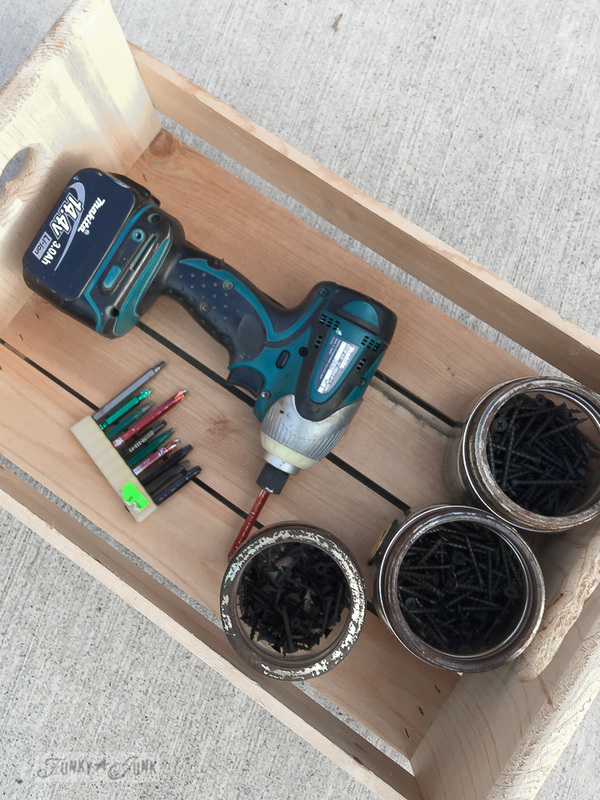 A cordless drill and screws were all that was needed to prop it back up again. With not even an extra inch to spare. Perfection! Isn’t this play centre amazing? It’s like a little house with a kitchen inside. The left side has a slide. So cute! The Learning Together Childcare Centre was so excited to take the donated dollhouse! Their theory is ‘green’, so the upcycling done was absolute perfection, and the main motivation to accept it! 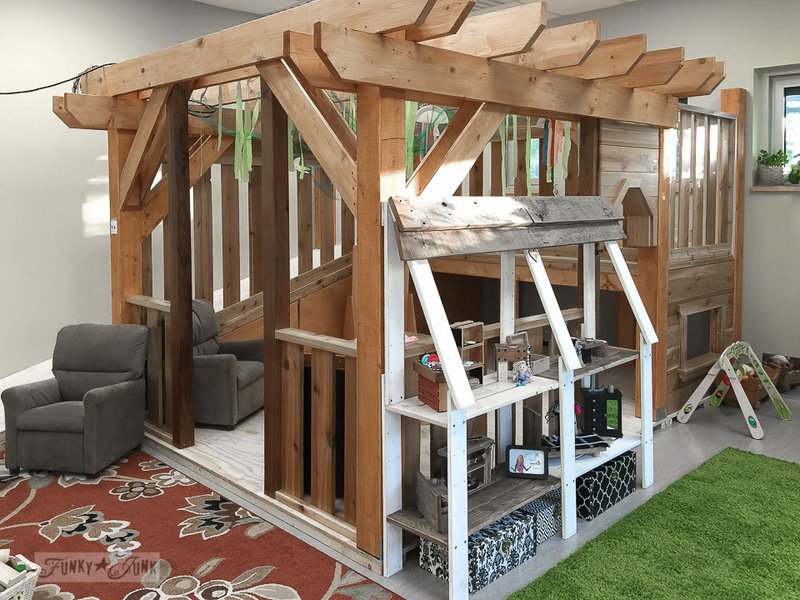 Chilliwack Community Services recently opened Learning Together Childcare Centre, a community daycare, that has spots specifically for young parents. The above sourced info is from HERE. Wow, right?! I’m thrilled the house went to this daycare. The house will get played with every day, all day. How wonderful is that? The only thing that came back home with me were the Barbie Dolls, because they weren’t suitable for the younger children in this daycare. Instead, they placed their own little cloth dolls inside which were perfect. Which was fine with me…. 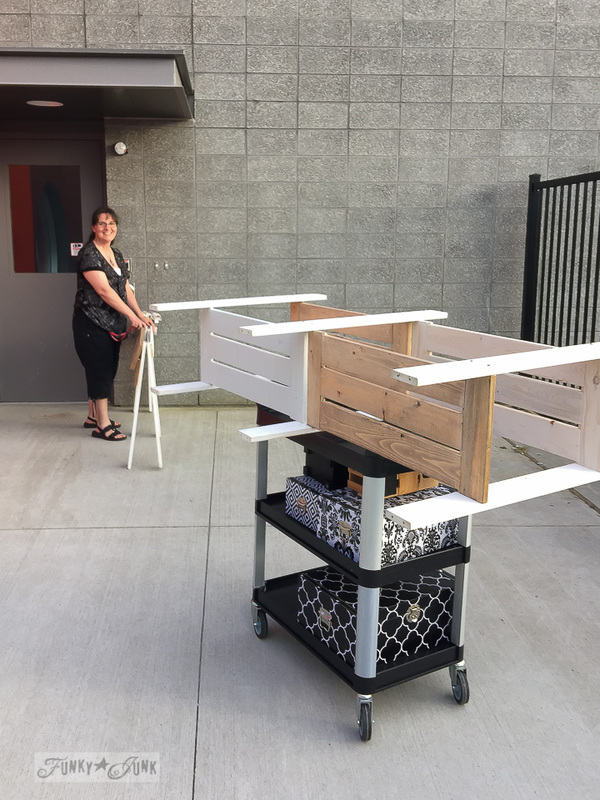 This project was part of a volunteer project, sponsored by Porch and Wayfair. They paid for the materials, and my time was donated to build the project. All opinions are my own. My daughter was a young teen parent, and a day care attached to her high school would have been ideal. We worked through it, though. I loved seeing the Barbies working on the installation…in their mega-high heels, in fact! I’m glad the doll house went to a most deserving place. 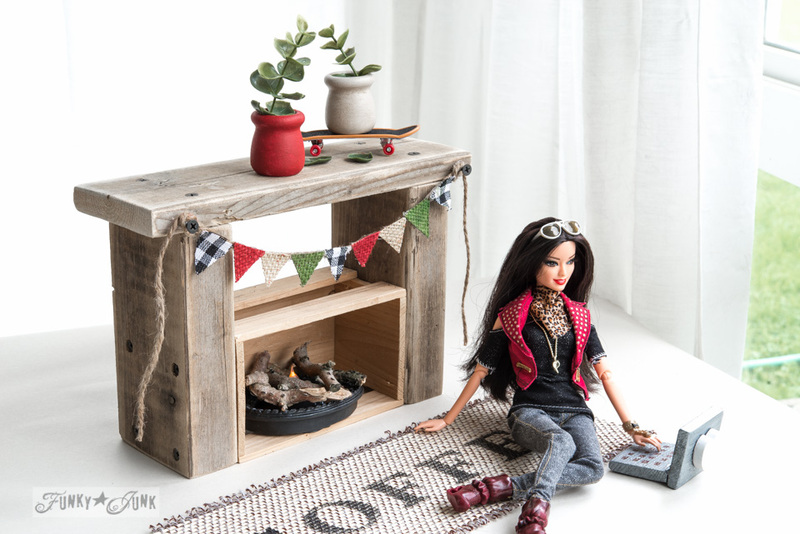 Love the barbie pics! I should do something similar with my son’s dinosaurs and figurines! They’d get a big kick out of that. I always do something silly like the dinosaurs are eating them or other toys in pictures. Wow Donna – I love it when everything comes together! Just imagine how thrilled the children will be when they see it and get to play with it. I bet they’ll be looking forward to going to daycare just for the dollhouse. You are such a kind and imaginative soul – Bless you!!!! Donna, perfect, don’t you love how things come together and they work. 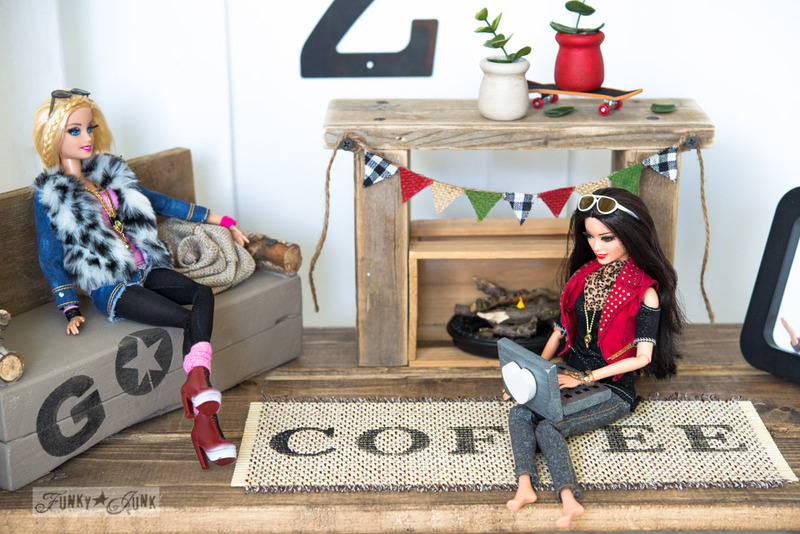 I bet those barbies will never be lonely – good job! Thanks for sharing this, Donna. It is so nice to see all the ways we can help in our own little communities. A lot of daycare facilities would love to have your dollhouses. I wondered whatever happened to your fabulous dollhouse. 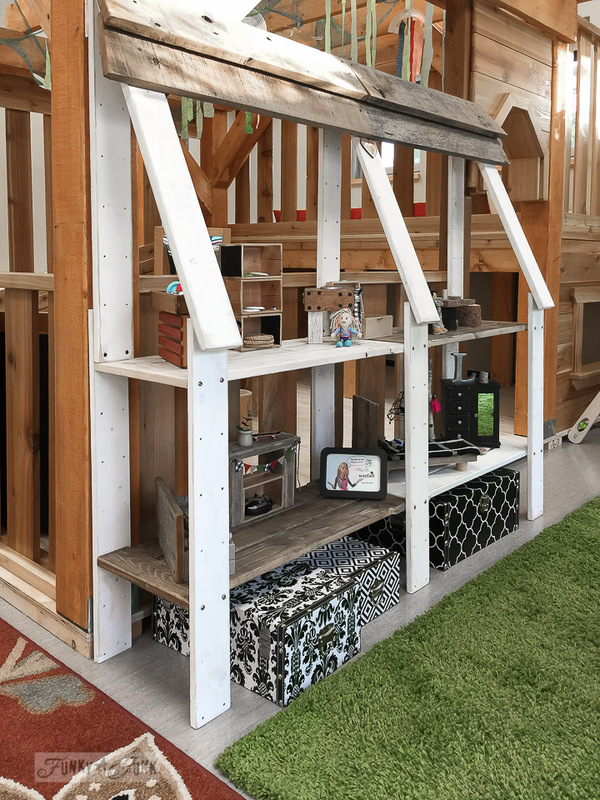 What a great daycare concept and the perfect home for your dollhouse. I bet it feels good knowing the babes of young Moms have received the gift of hours of fun play with your creation. 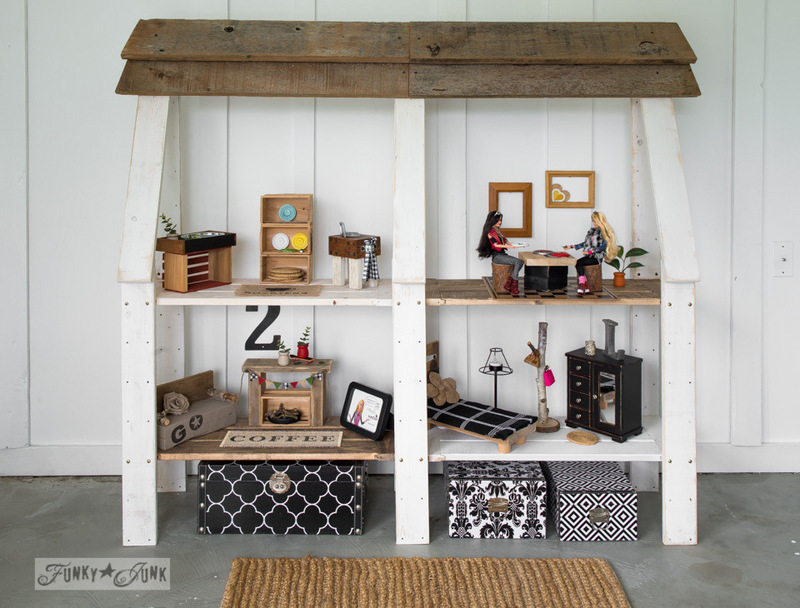 It’s like it was built to measure for that space too…meant to be! Love the picture of the girls putting the house back together! Wonderful! Your work keeps blessing others on & on & on…. 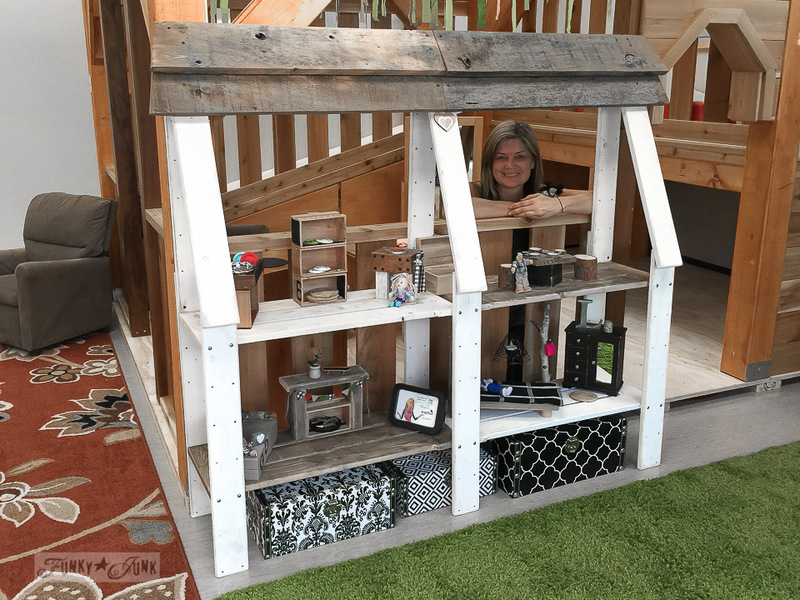 I’m soooooo glad you decided to share the new permanent home of the dollhouse with us…this was one of my fave projects that you’ve ever done…that anyone’s ever done, actually…so it’s nice to see it go to a home where it will be well-loved! I’m kinda sad that the Barbies have been separated from their ultra-cool home, but looks like they are ready to build themselves another! 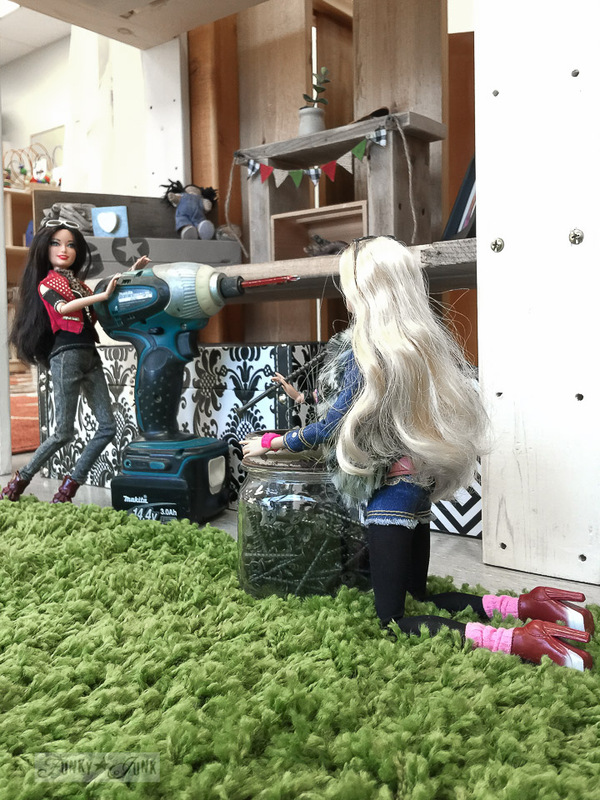 I literally LOL til I cried when I saw the pic of the Barbies with the drill and screws…totally made my day! Thanks for this uplifting post, Donna…and brava on a job well done! Great job Donna, recycling and community work! What an amazing project, Donna. It’s nice to see it all set up and ready to make a lot of kids happy!!! very, Very, VERY CUTE ! And so nice of you to donate it, but you’re right ………..The girls gotta stay with you ( = Where they belong, at least for now. Thanks for sharing Donna, too cute.